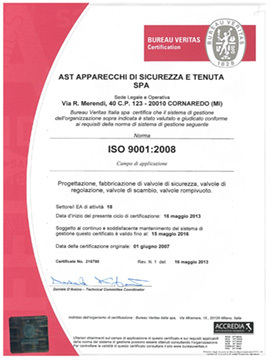 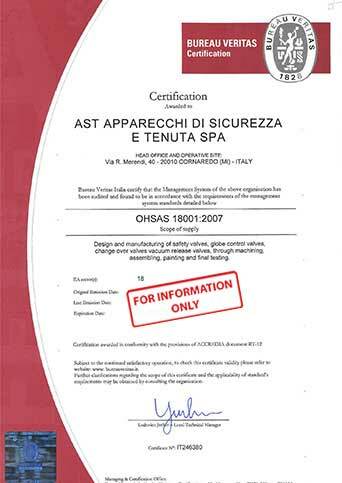  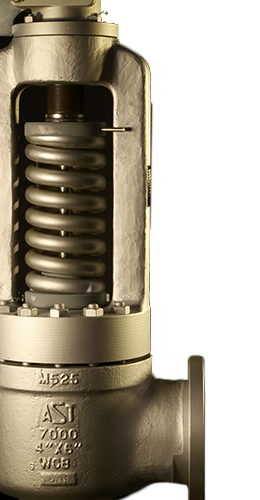 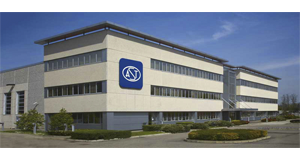 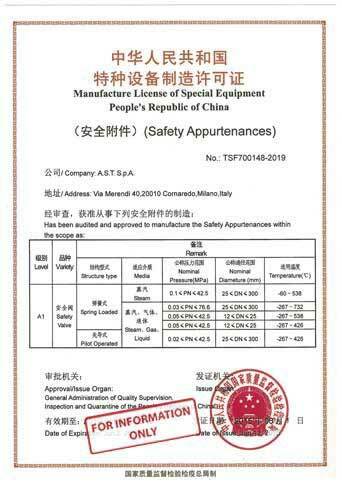 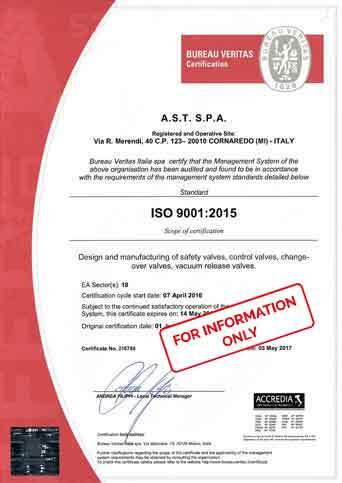 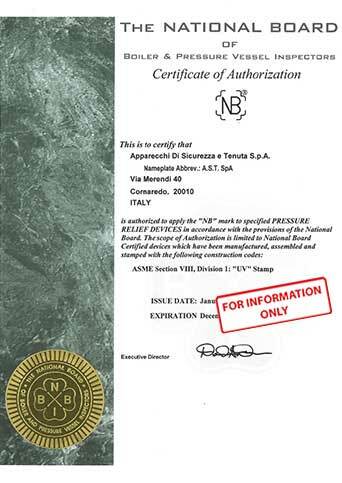 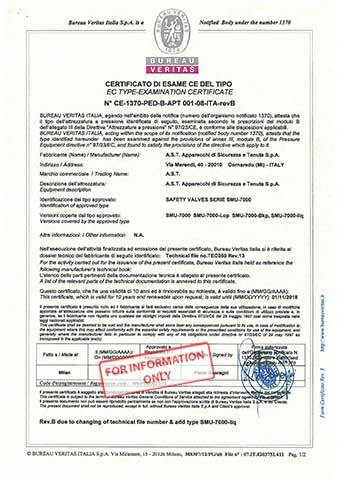 In 1993 AST Quality Assurance System obtained UNI EN ISO 9001 certification. 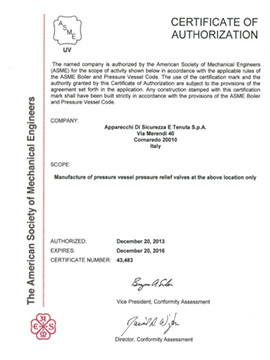 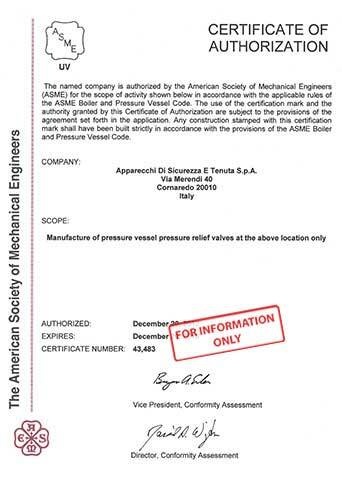 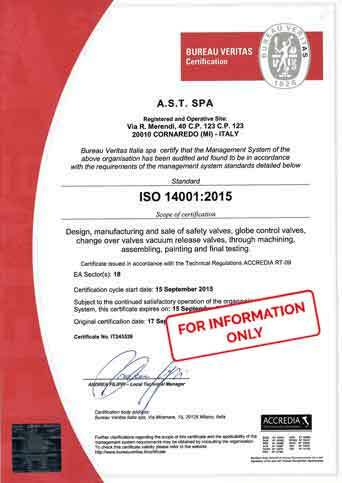 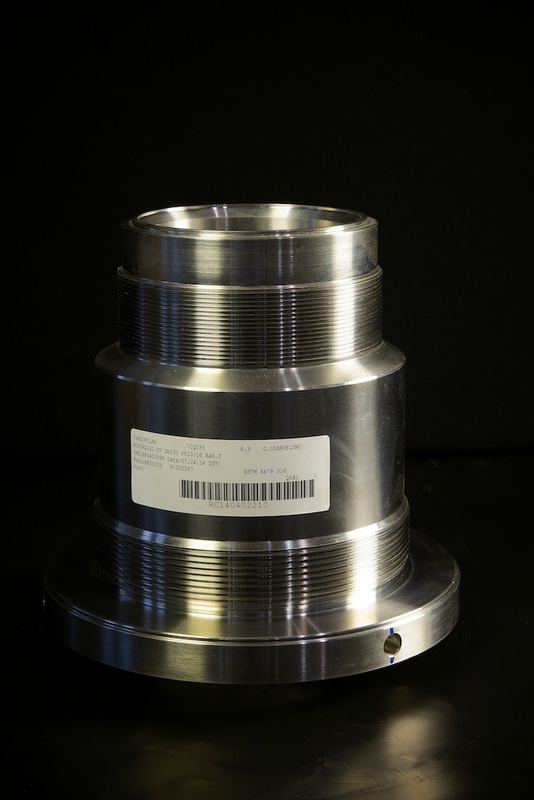 in compliance with ASME Quality Program. 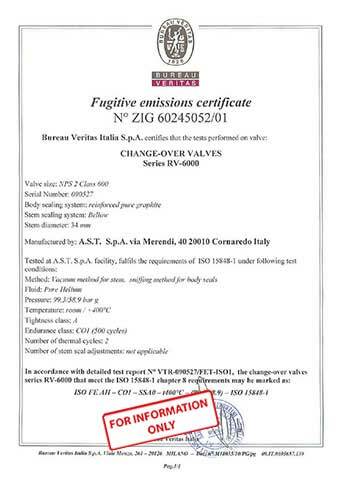 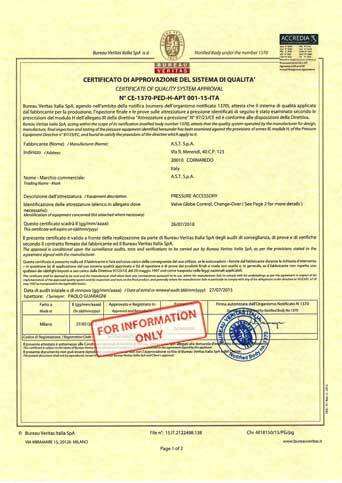 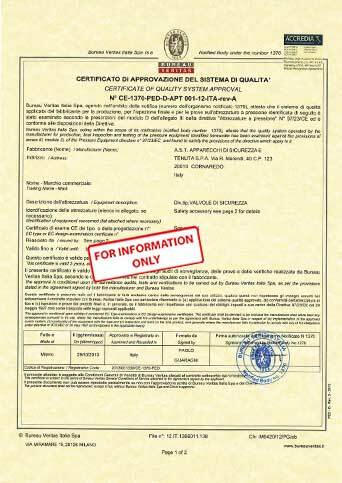 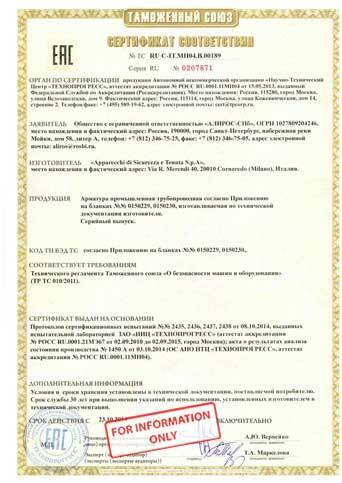 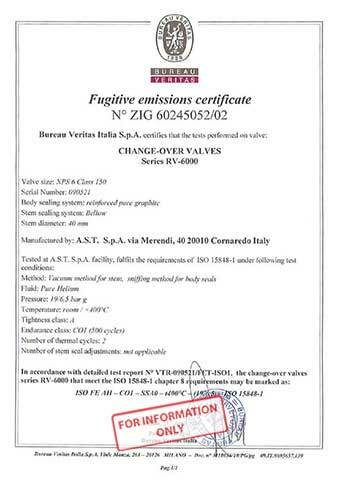 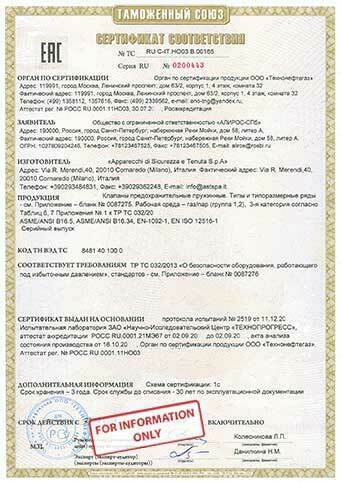 All below listed certificates are meant to be for information only.